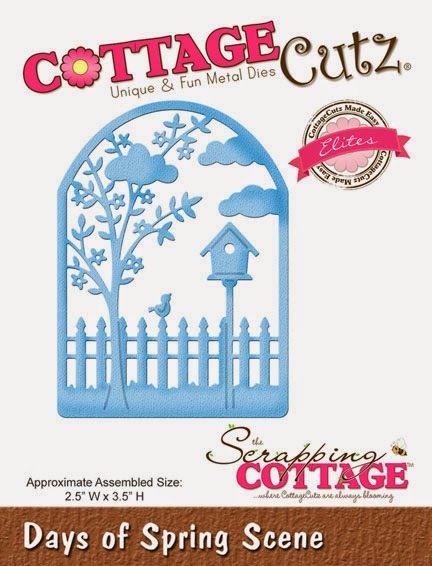 Hello everyone and welcome to another edition of a creation made with the beautiful CottageCutz dies. 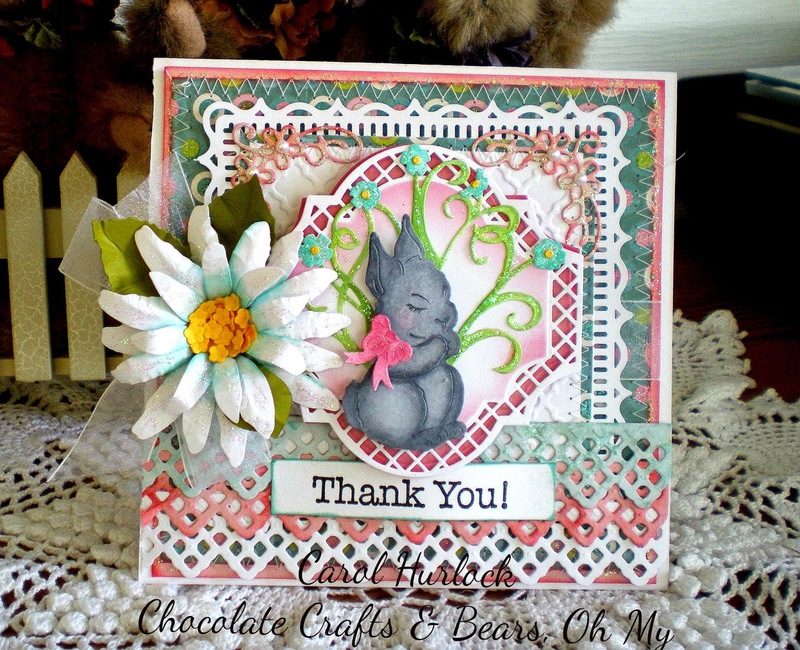 It's Carol today with a creation for you. 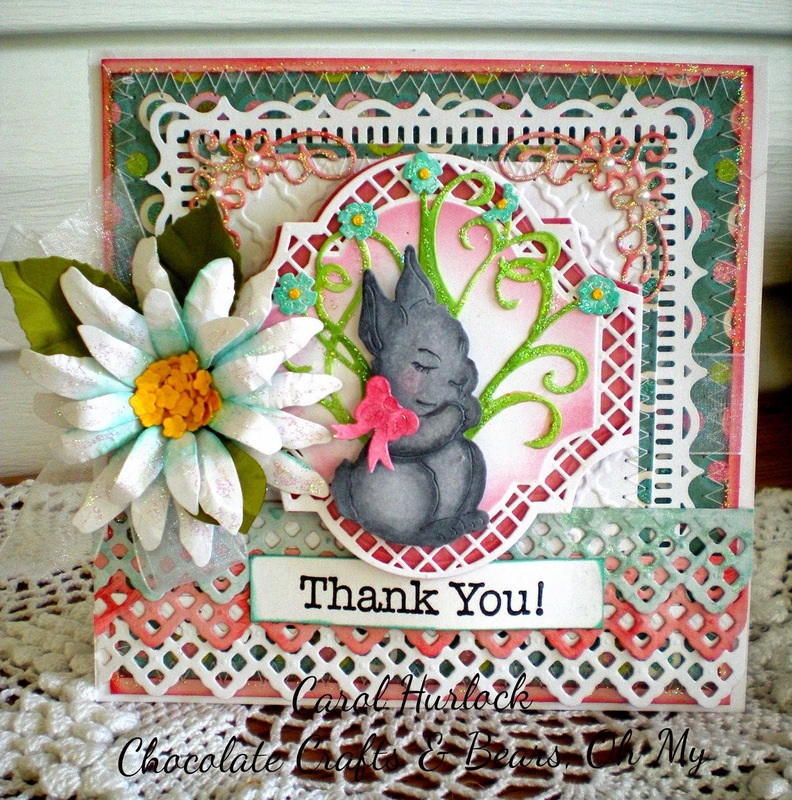 This die is called Gracie Bunny Giving Thanks-just perfect for my thank you card today. Gracie Bunny has been colored with copic markers. The colors used were C01, C03, and C05. It's a coincidence that this thank you card is actually going to someone who owns a boy bunny named Grayson-that's why the bunny is Gray. 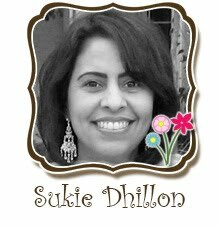 The flower was created with the Sizzix Sunflower die. 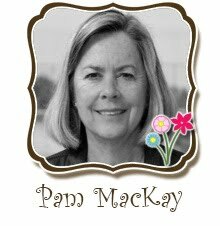 The card base is Spellbinders and a Martha Stewart Punch Around the Page Punch. 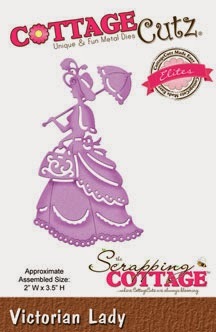 Today is time to use dies from new Victorian release. If you are romantic soul, is this release perfect for you. I decided to create a peaceful spring scene. For the background, I've colored some paper with Walnut Stain and Vintage Photo Distress inks first and then also with white color to create this wooden look. 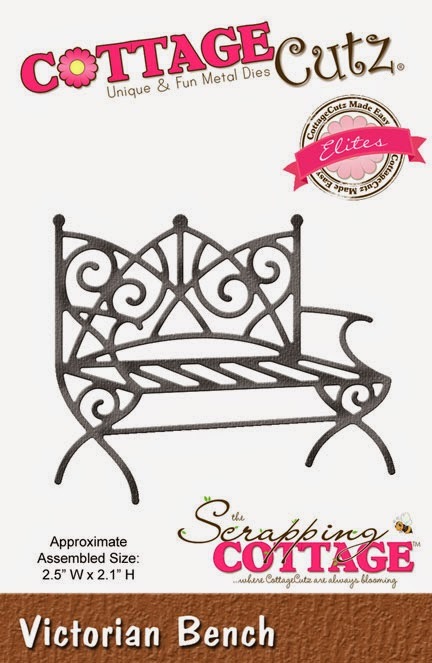 Elegant Frame and Bench are cut out from black cardstock and colored with black Enamel Accent. This gives some shine and more metallic look. 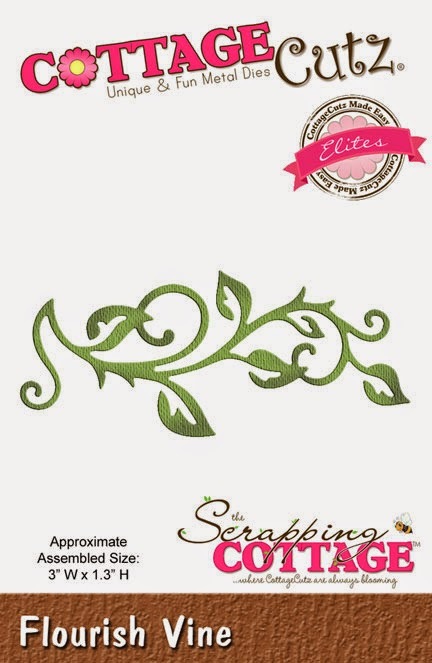 Then I needed a little greenery, so I used Butterfly Flourish Vine and Flourish Vine dies and colored die cuts with green Distress Ink. 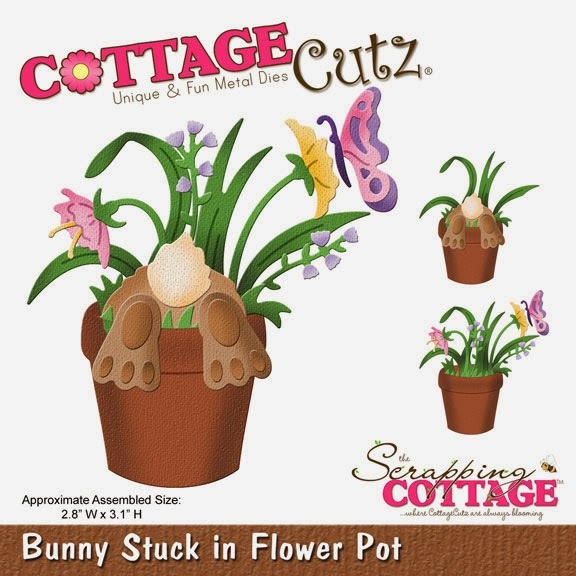 Little blossoms are cut out with Bunny Stuck in Flower Pot die. Now I just need the same real bench and good book in my hand to relax a little bit. Hello everyone, Cheryl here with an extra post for this month. 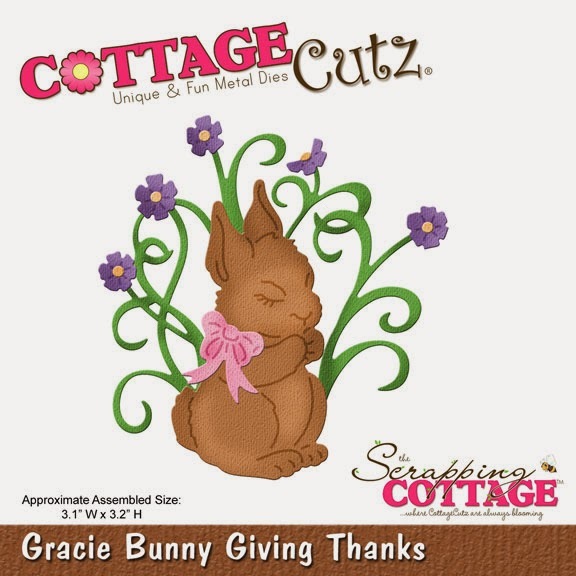 I wanted to share Darling Gracie Bunny Giving Thanks. She is super Cute and has to be my favorite bunny from the Spring Release. Isn't she just DARLING??!!!! For embellishments, I used sewing, and Seam Binding for my embellishments. 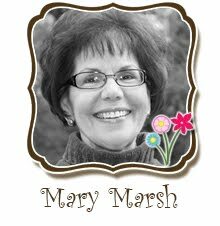 Today I am sharing with you my new Victorian Row House card I created with beautiful NEW 2015 Victorian Collection of dies. Easy to make card. 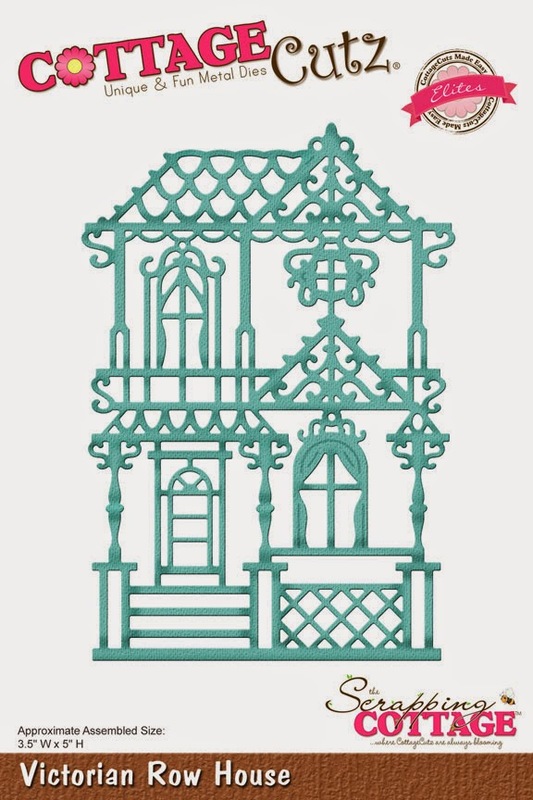 For my project I used "Victorian Row House" die. Just, cut house out using white paper and glued on designed paper. 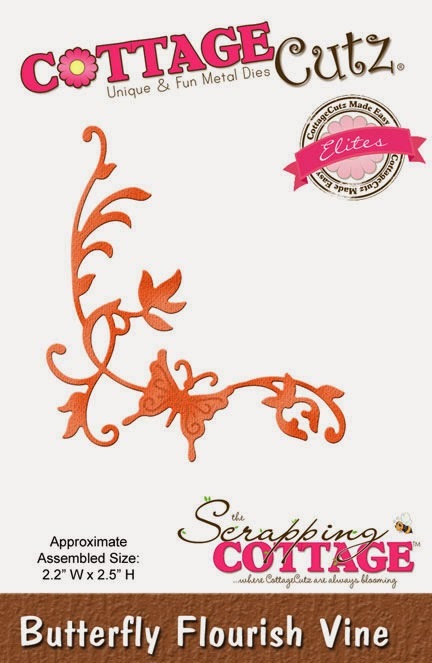 Decorate card with cream ribbon and tag with sentiment "Friend". 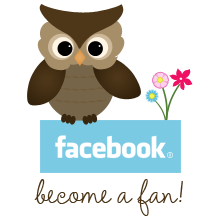 Hello CottageCutz Fans, and Happy Tuesday to all! Today's card features the Victorian Release. LOVE this release and all the dies that come in this collection. 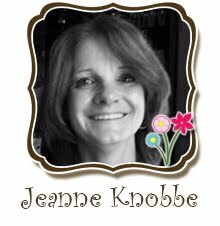 On my card today I used the CottageCutz Victorian Lady, Ornate Fence , Flourish Vine, and the largest part of the Victorian Frame. The Victorian Lady was colored with copics, and then I added some Viva Pearl Pen dots to the dress and her umbrella. 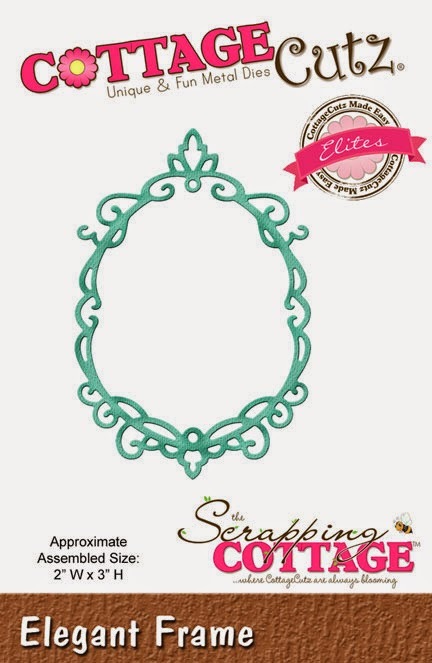 The Victorian frame , works perfect to frame the circle layer I used. Love the look! 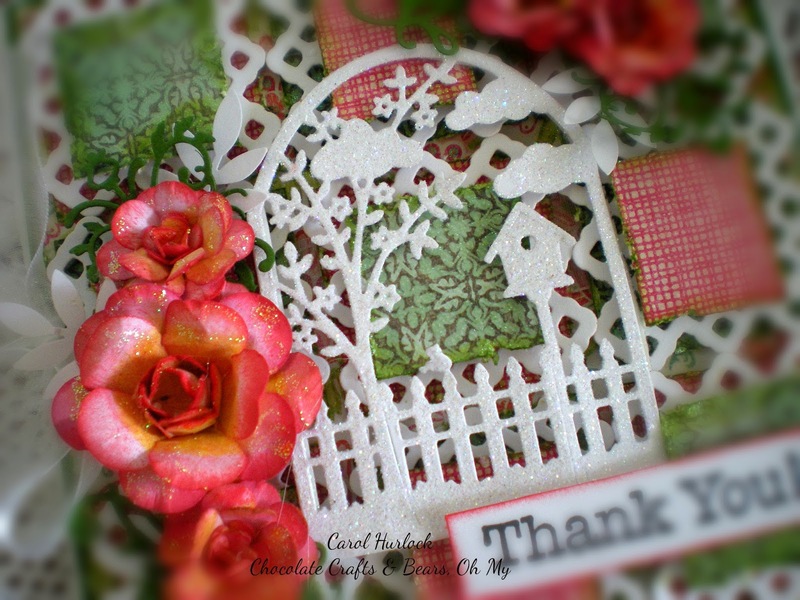 I also cut the Ornate Fence in white and added the Flourish Vine to it, along with some flowers that I cut out using the CottageCutz Tree of Nature die.. 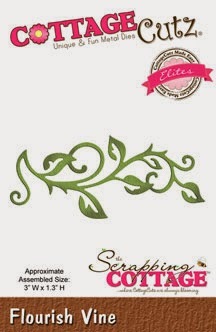 I love the small flowers from this die, they work perfect for embellishing a lot of the CottageCutz Greenery. 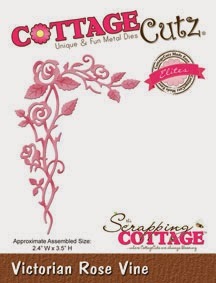 CottageCutz Dies Used: All are linked to the Scrapping Cottage Store, just click on each photo and it will take you to the item. Lastly I used a super old stamp and punched it out with SU! punches. The dp is from DCWV. I added some seam binding and sewing to complete my card. Love the way it turned out, and I had a lot of fun making this card! 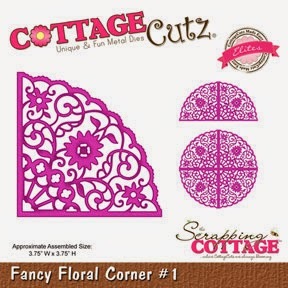 Happy Spring and welcome to another edition of Cottage Cutz Designs. It's Carol here. For this creation today the Days of Spring Scene die was used. Isn't it pretty. 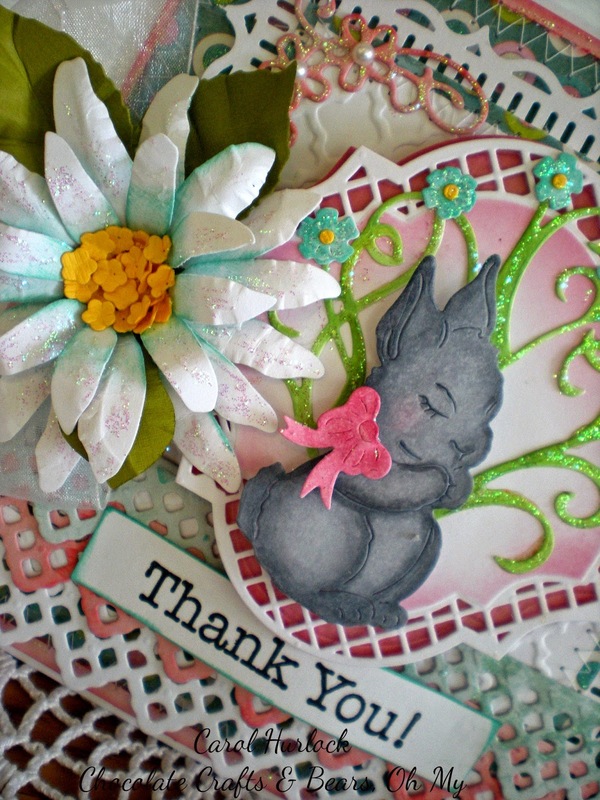 Just paint a little glue on the die cut and sprinkle some sparkle and you are good to go with your card focal point. This die is as sweet as it can be. 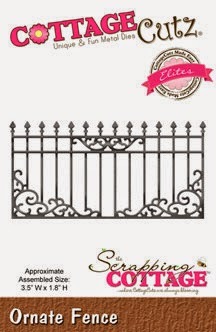 Perfect for your Spring Cards. This one happens to be a Thank You card. We all need to build up our stash of "thank you" cards. 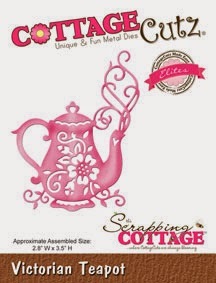 The Scrapping Cottage has so many possibilities for creating your perfect card. 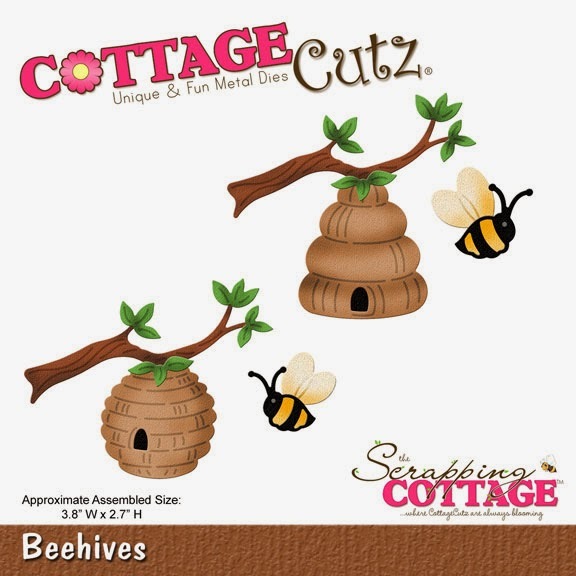 Hi all CottageCutz fans! Vladka here! Time for weddings is around the corner and it is always good to have some cards on hand when someone comes and ask for them, don't you think? 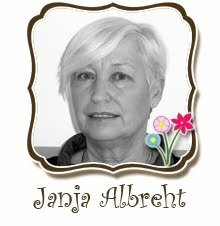 My card is not typical wedding card, but also people are different and I like to create something different, special. 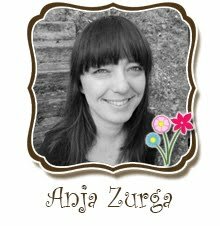 So, I used Beehives die from Spring release and added sentiment in Slovenian language which means: "Love is sweeter as honey." Distress Inks were my best friends for coloring also this time. Did I mention already that I cut out all my pieces out of kraft cardstock paper. This way colors are more intense as if I do the same with white cardstock paper. 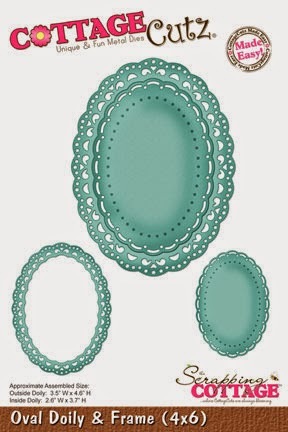 You can find kraft cardstock (this is 100% recycled cardstock paper) in almost every craft store. I get mine in local craft store. Hello everyone and Happy Thursday to all! 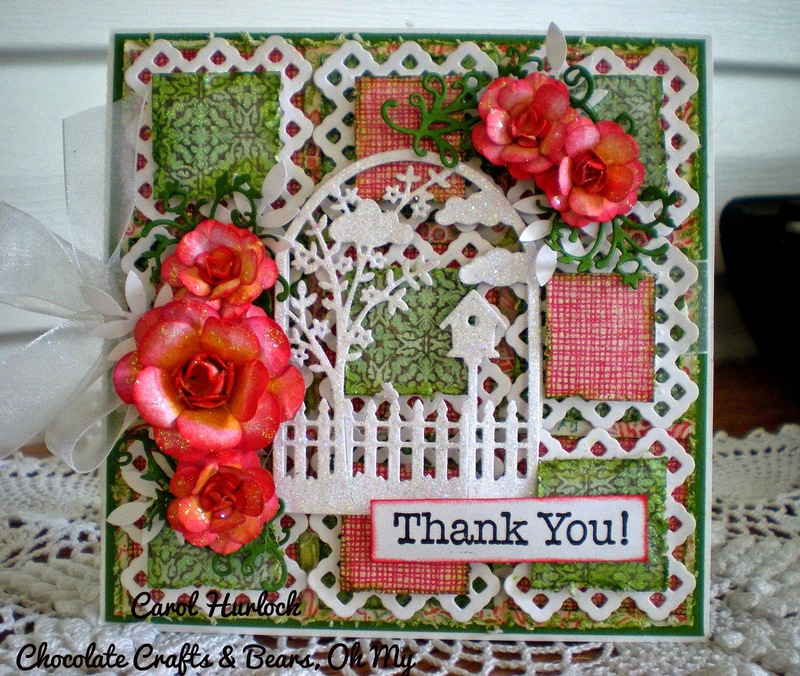 Cheryl here today with another Victorian Card using the Victorian Release. I am absolutely in LOVE with this release, and Loving all the frames, and corner pieces. Every die is absolutely Beautiful! 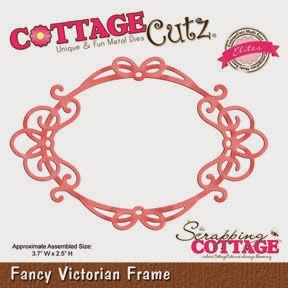 The CottageCutz Victorian Frame was cut out with Brown Card Stock and placed over a oval die cut. Next I cut the CottageCutz Victorian Tea Pot out with white card stock and then airbrushed the greenery,flowers, and then the teapot. I love the look of the airbrushing on the teapot. 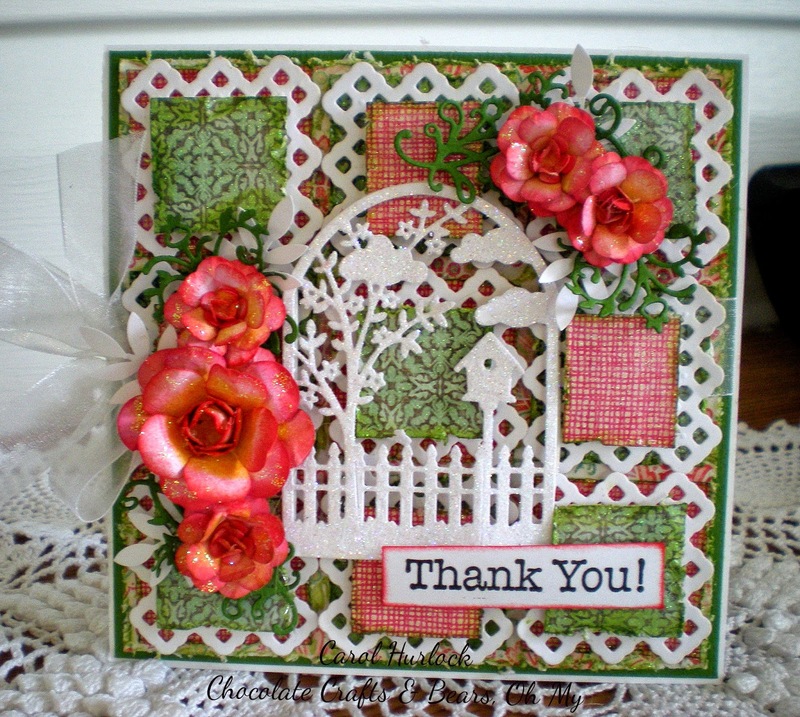 The Victorian Rose Vine was cut with Brown card stock, and used as corner pieces, love how they work for this. 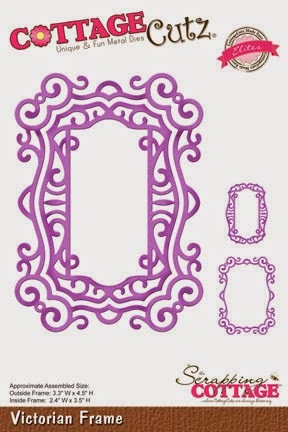 You could also use them to frame out and plain frame. I love how they will work in many different ways. Lastly to embellish, I did add some sewing, and some RRR Satin Ribbon, with a sweet little flower in the center. Very simple card to make, this one measures 5 1/4" x 5 1/4"